UFC 234 Pay-Per-View is just a few hours away which is set to go down tonight (Sat., Feb. 9, 2019) from inside Rod Laver Arena in Melbourne, Australia and ESPN’s Brett Okamoto just reported that UFC middleweight champion Robert Whittaker has been forced to withdraw from the main headliner fight with Kelvin Gastelum due to hernia issue. Of course, this is terrible news as UFC 234 card was already lacking some extra action beside the main headliner and co-main fights. 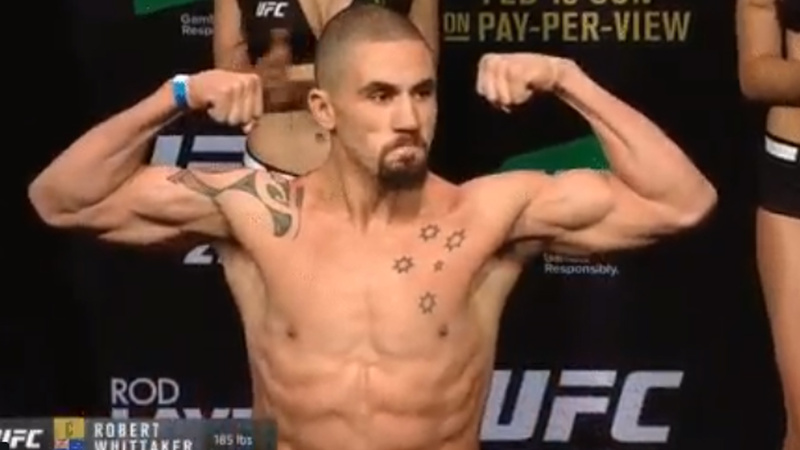 Whittaker rushed to hospital on Saturday morning after complaining about an abdomen pain, and later he diagnosed with a hernia. As per Okamoto Whittaker is scheduled to undergo surgery today to repair a hernia. As a result of the cancellation of a title fight, UFC promoted the middleweight contest between Anderson Silva and Israel Adesanya to a new UFC 234 headliner. Meanwhile, a lightweight bout between Lando Vannata and Marcos Rosa has been promoted from preliminary card to the co-main event.